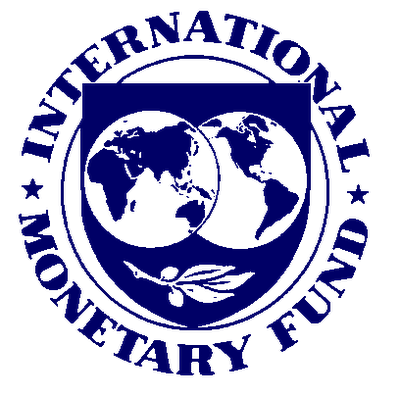 BEIJING — The imperative of greater global currency stability means the world can no longer rely, as it has done since the end of the gold standard, on a currency issued by a single country, the head of the IMF said on Tuesday. Dominique Strauss-Kahn, the managing director of the International Monetary Fund, restated his view that a new global currency might evolve out of the Special Drawing Right, the Fund’s in-house unit of account. “That probably has to be a basket,” Strauss-Kahn said of the eventual replacement for the dollar. “In a globalised world there is no domestic solution,” he told a forum. Speaking later at a news conference, Strauss-Kahn reiterated the message that has been a constant refrain during his visit — that China needs a stronger yuan as part of a package of policies to help rebalance its economy by promoting domestic demand. “For us, because it just is consistent with the new economic policy in China, the sooner the better. How fast? It will take time. It is not something which will change in one step overnight,” Strauss-Kahn said. “We do believe firmly in the IMF that the RMB is undervalued and that it is not only in the interests of the global economy but also in the interests of China to have a revaluation of the currency,” he said. An undervalued currency introduces economic distortions, which might confer certain advantages but at a cost to other parts of the economy, Strauss-Kahn said. In China’s case, a cheap currency gives it an edge on trade but scrambles price signals, leading to wrong decisions about investment in the long run. “It is now time for China, having accumulated a lot of advantages from an undervalued currency, to look more forward to investment and long-term stability, and this long-term stability goes with getting rid of this distortion,” he said. Washington in particular has been vocal in arguing that an undervalued yuan is exacerbating economic imbalances that were a root cause of the global financial crisis. But He Yafei, China’s vice foreign minister, defended China’s policy of keeping the yuan on a tight rein. “In the process of tackling the financial crisis, keeping the RMB stable not only was a contribution to fighting the crisis but also helped stabilise global financial markets,” he said. He was briefing reporters on talks President Hu Jintao held with visiting U.S. President Barack Obama, who referred only fleetingly to the currency issue. “I was pleased to note the Chinese commitment made in past statements to move toward a more market-oriented exchange rate over time,” Obama said. He said the momentum to cooperate had already eased somewhat, six months after the London summit of the Group of 20 agreed on a need for change to ensure a more stable global financial order. “This favourable window of opportunity is there. It will not stay open forever,” he told the forum at which Strauss-Kahn spoke. “Our Chinese friends mean business,” he said of Zhou’s plan. As a corollary of a strengthened role for the SDR, governance changes were needed at the Fund to shift power to big emerging economies, Camdessus said. “The RMB must be there. Period,” Camdessus said.